Glutathione plays an important role in the maintenance of a healthy immune system, helps boost energy, improves skin health, anti-aging and more. We do offer Glutathione injections as an alternative to IV Glutathione. It is thought that when glutathione is received frequently intravenously, it stops the production of melanin, an important product that darkens the skin. People who receive IV Glutathione treatments weekly or bi-weekly for a period of six to eight weeks have reported a shade lighter skin color and healthier skin complexion. Glutathione is used in many parts of the world along with vitamin c for its skin whitening effects. This is a side effect of the treatment. IV Glutathione or injections of Glutathione have many health benefits and improve energy as well as trap free radicals. 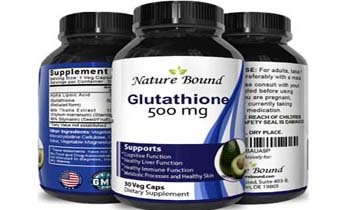 Glutathione has many health benefits and has been used in the treatment of chronic fatigue, heart disease, diabetes, autoimmune illnesses, Alzheimer’s disease, arthritis, asthma, HIV, to improve immune health, cancer and more. The nutrient known as glutathione is one of the most beneficial nutrients that you can take on a regular basis for a more healthy body. Found in every cell in the body, glutathione is a powerful antioxidant that helps the body fight free radicals. Contact us today to schedule your IV Vitamin Therapy.